While the medical staff at the Manos Amigas clinic is well-trained, there are still techniques and procedures they can learn from their American counterparts. Each brigade that provides care at the clinic, works side-by-side with the Honduran staff, often teaching as they work. Serving at the Crossroads also provides specialists to conduct classes on site in areas such as midwifery, inhalation therapy, audiology, and endodontics. We also ensure that the staff knows how to operate and maintain the equipment we provide. Cases arise from time-to-time that require specialized skills. Serving at the Crossroads has a network of medical specialists in the U.S. who consult with the Manos Amigas staff if needed. Dr. Pete Thompson shows the clinic dentist a tooth restoration technique. 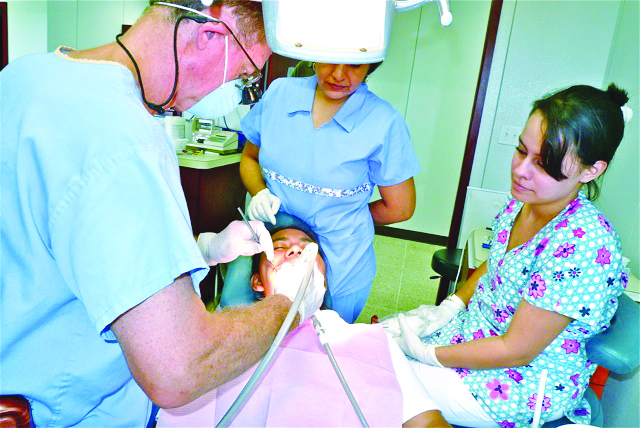 Dr. Robert Krauss gives a seminar to Honduran dentists on endodontics. 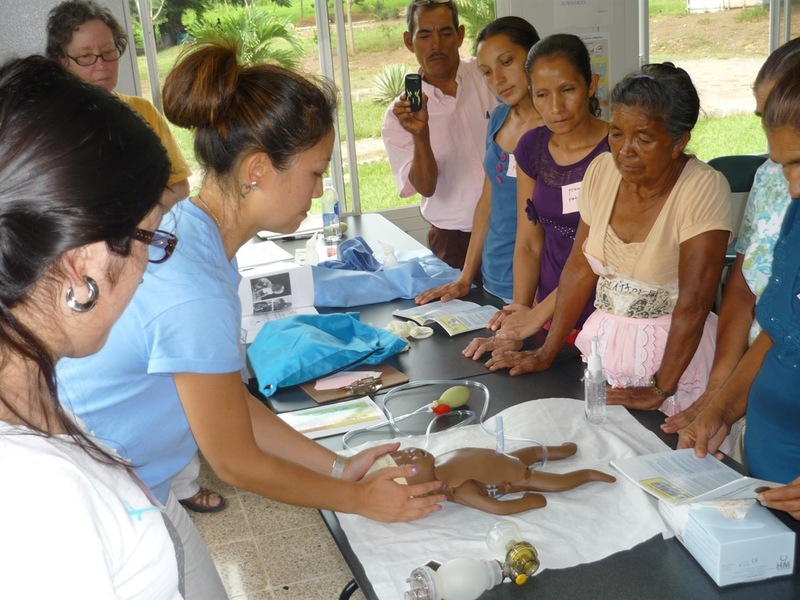 Members of the brigade from Allentown, PA conduct training for midwives from surrounding villages.